This is a manifesto for simple menus: let your food be inspired and your verbosity chopped. 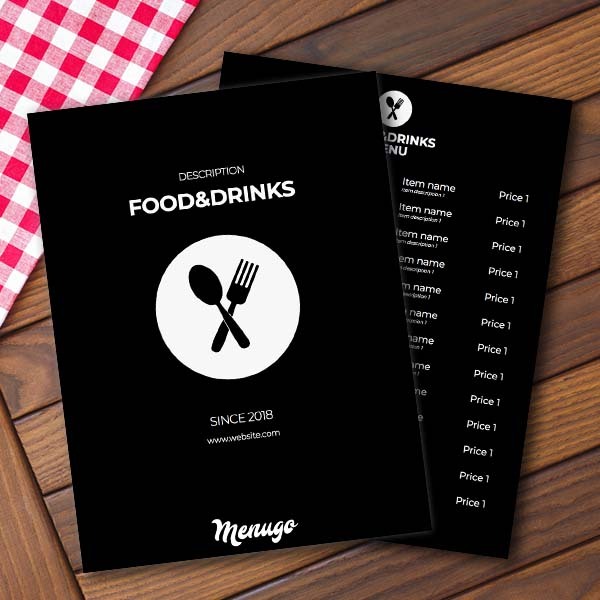 We savor a menu with concise words and simple design. Once you've chosen your dishes and priced them accordingly, it's time to present your menu to your customers. Use our Contemporary Generic Menu to concentrate all your attention on your dishes.